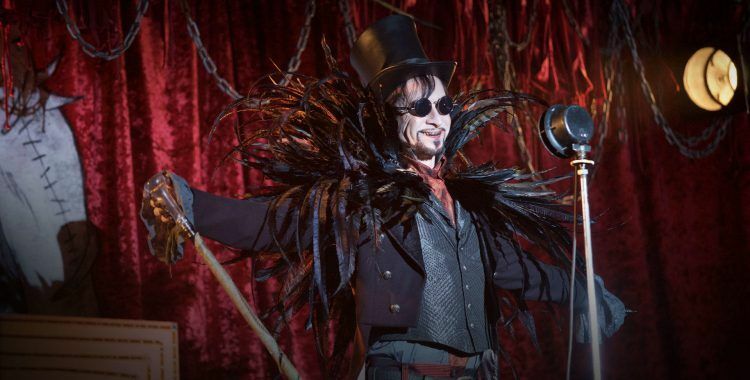 There’s a chip in your neck that can make your head explode at the turn of a knob, your car runs on blood, and there’s a lunatic ringmaster who’s laying down what few laws exist. 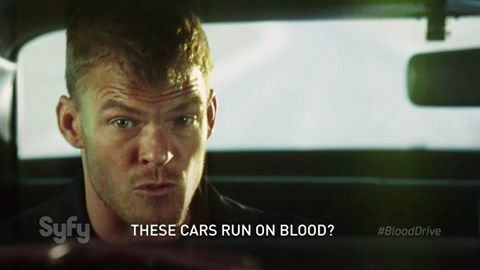 From the looks of it, you’ve found yourself in the cross-country death race known as the Blood Drive. Well, I have some good news for you. 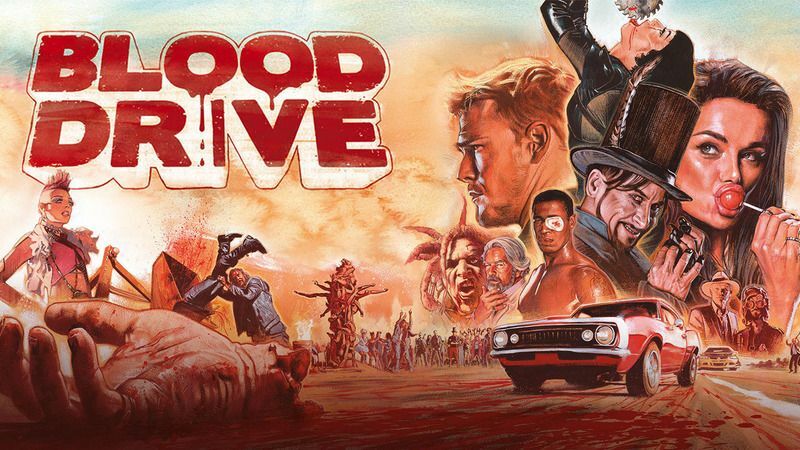 I caught up with James Roland, who is the creator/producer of Syfy’s hit grindhouse show Blood Drive, to get his tips to help you out in this situation. Sharing these nuggets of information goes against his very first tip, but I’m going to do it anyway. “You have to be in a place where context doesn’t matter, all that matters is winning, and your reasons for winning. If you’ll notice, everybody wants the prize ($10 million), but everybody wants it for different reasons. Domi and Cliff want to save their marriage. The Gentleman wants to be seen as refined, and better than everybody else, that’s obviously very important to him. Grace wants to save her sister. “Hang on, and be willing to bend. I think that’s the theme of everything on the show. Do not assume that you are right. There is always, even if it’s something as crazy as Clowndick, there’s always a different viewpoint, and you can justify murder a thousand ways, and you’re gonna find it, because when it comes to survival all bets are off. “I think the best teams are yin and yang. I think Arthur (aka Barbie) and Grace, part of it is learning how to work together, and they really learn how to work out their differences. So I think yin and yang is a good method. You could argue Domi and Cliff are too similar, and this is why they’re always at odds with each other. 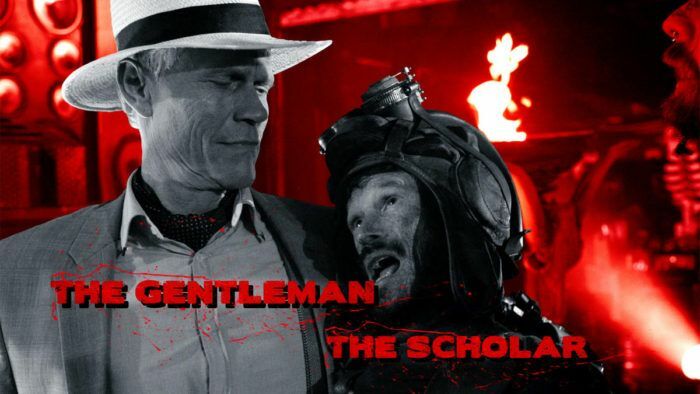 The Gentleman and The Scholar are at odds with each other, but they always manage to work it out because they both need each other. “Slink doesn’t care. Slink cares about the racers being true to who they really are. Slink cares about eradicating affectation. He hates pretentiousness. He doesn’t think Barbie is really good, (he thinks he’s) just pretending to be good. He gets annoyed at Grace for focusing on her sister, and wants her to just be this pure id. 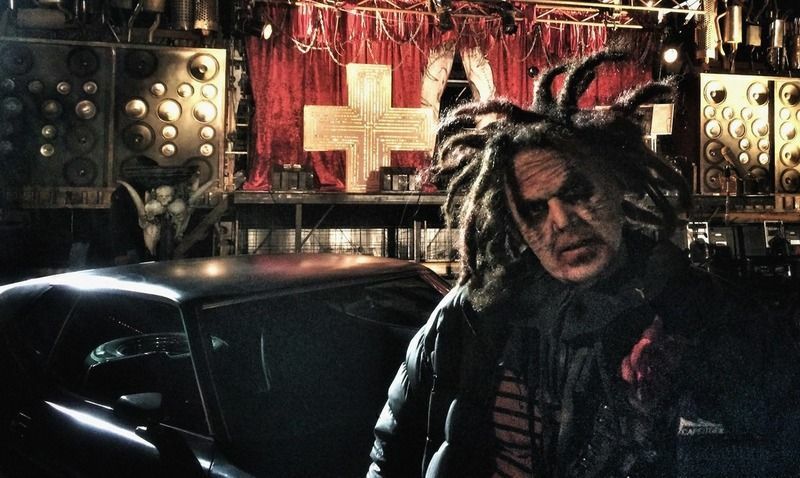 Blood Drive airs on Syfy on Wednesdays at 10pm est.